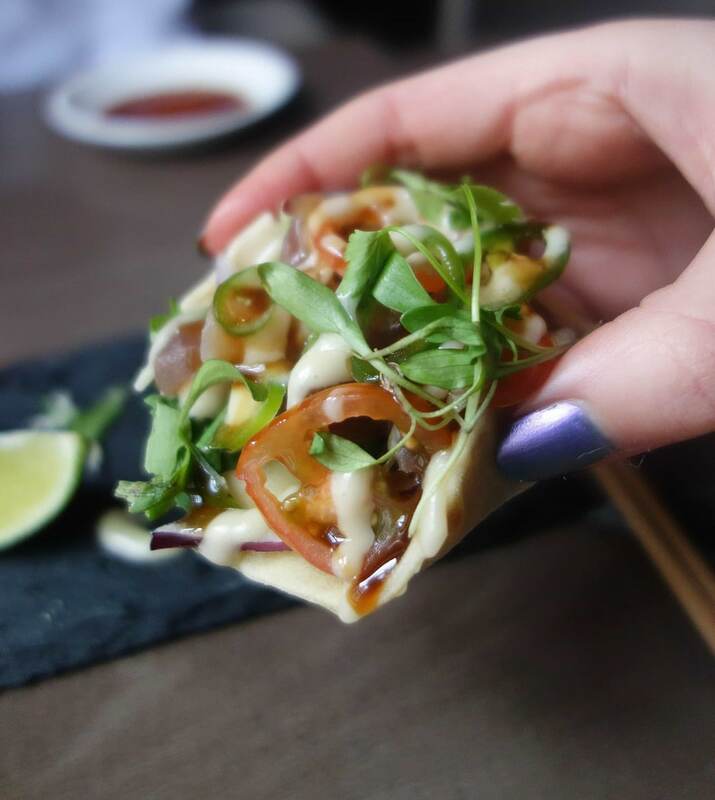 There is no shortage of Japanese food in London, that’s for sure. There’s many a good place to grab a quick lunch or take away. 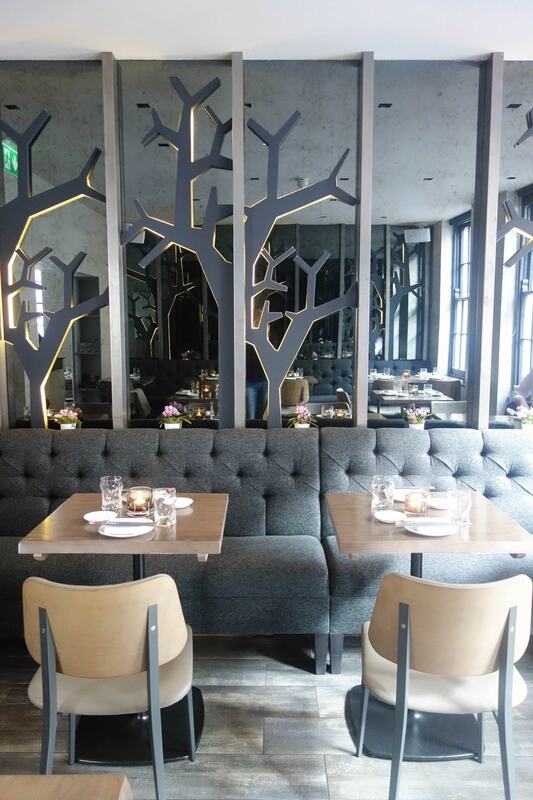 Equally, there are just as many good places for a casual midweek dinner. A meal you can experience with all your senses is another thing, and that’s where Oliver Maki comes in. Japanese fusion food with a Mediterranean influence. Okay, let’s be clear. 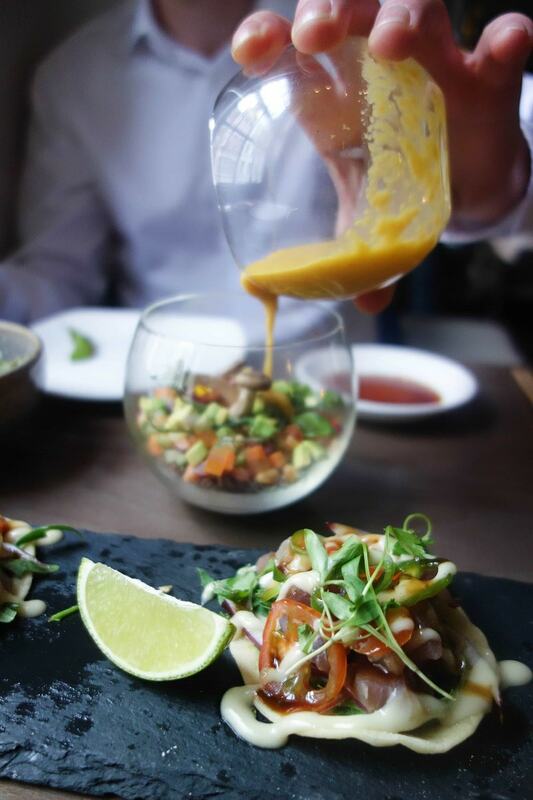 We’re not talking your average cheap and cheerful meal here. At Oliver Maki get what you pay for, and what you get is a beautiful setting, outstanding food, and first class service. As well as a fully immersive evening of technology, theatrics, and surprises that you can taste, smell, and touch. It’s very discreet but still in the centre of Soho, and almost feels exclusive. 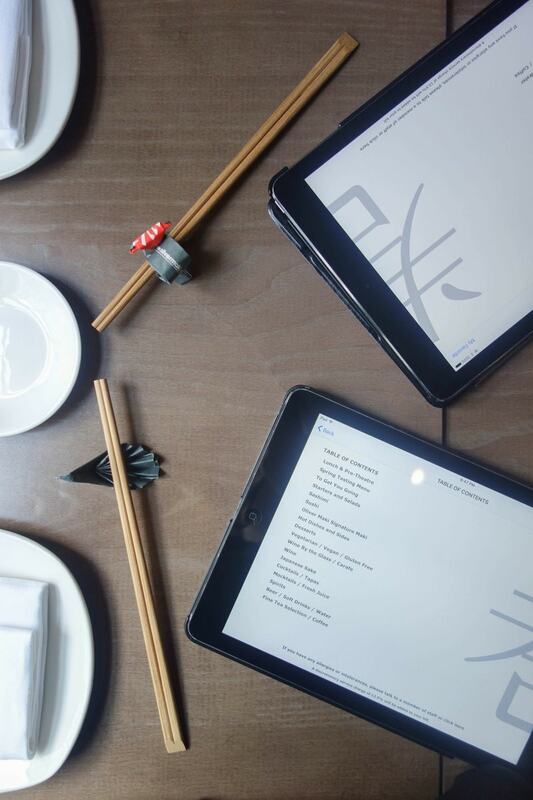 Once you’re seated you’re handed an iPad complete with a full menu, pictures (as we all know we eat with our eyes) and an interactive ordering system to make your choices without a pen and paper. 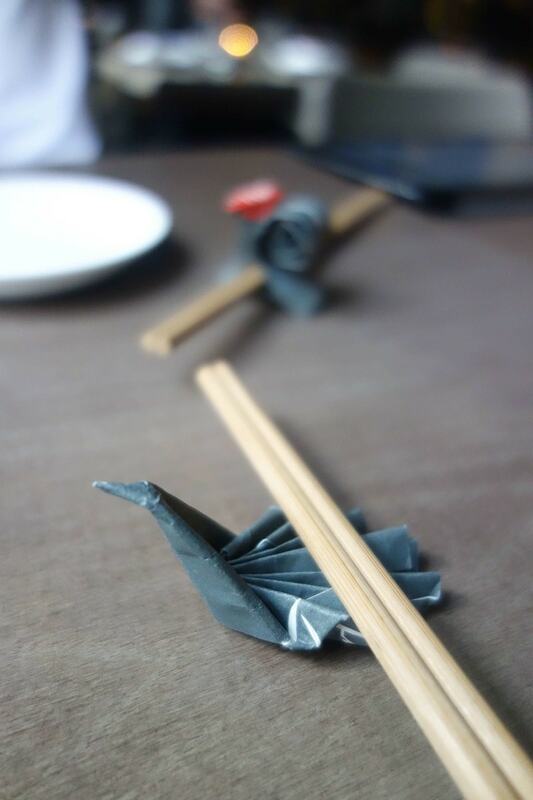 Once ordered, the waiter brings some very creative homemade chopstick holders to the table made from their own wrapping; and with a variety of 40 different Japanese sakes on offer, it’s easy to kick off your meal the traditional way. Particularly made more interesting by the ‘Caviaroli Drop’ inside. 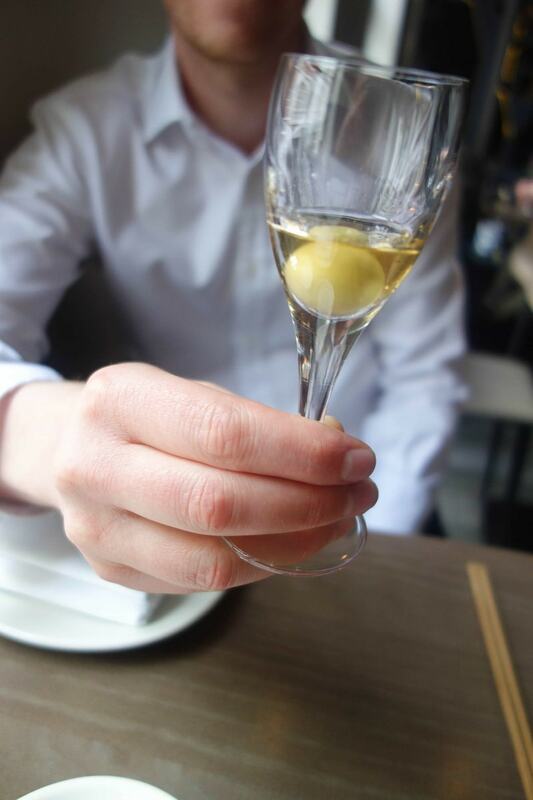 An exploding ball simulating an olive that pops once inside your mouth. Made by top Spanish chef Albert Adria. 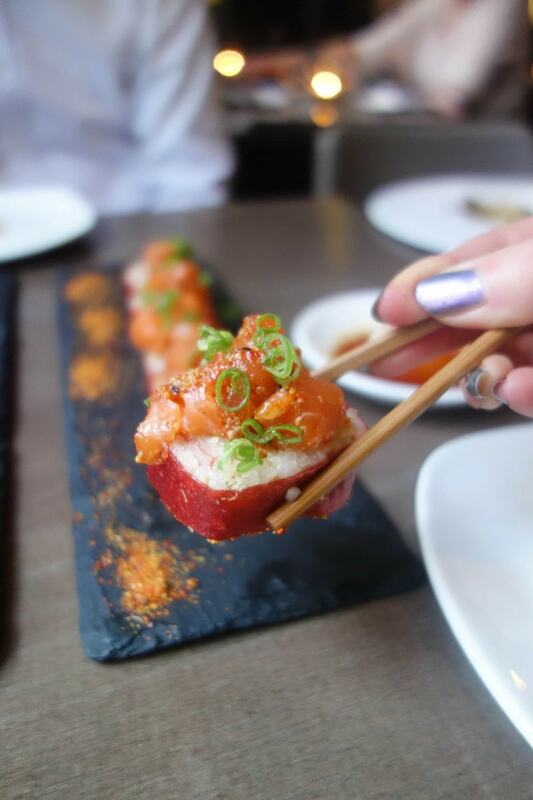 An unusual combination of Japanese and Mediterranean flavours. 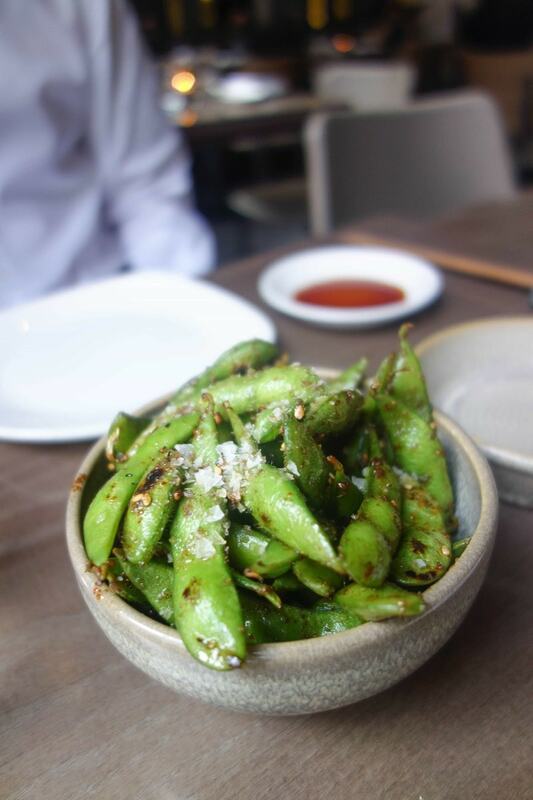 Something ‘to get you going’ is recommended to start, with these edamame being a good choice. Grilled in a house soy sauce and topped with Malden sea salt. Very moreish. Then for main a mixture from every corner of the menu will get you off to one special evening. You can simply order a few dishes and a soft drink if that’s more your thing, it’ll be just as good, just less interative! The selection below is HIGHLY recommended for a diverse experience. 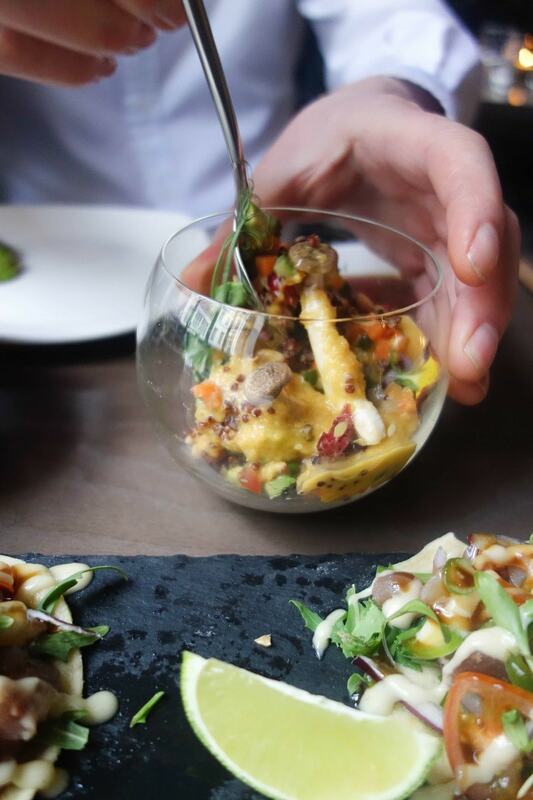 The forest haze salad; a mix of quinoa and chopped vegetables that you dress yourself, and once you take the top off it starts to smoke. Very theatrical. 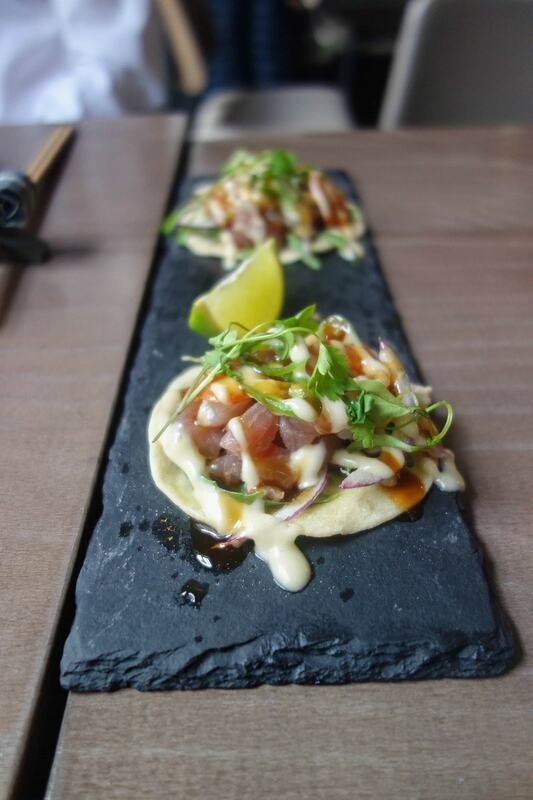 Tuna and hamachi tacos with housemade tortillas served ceviche style. 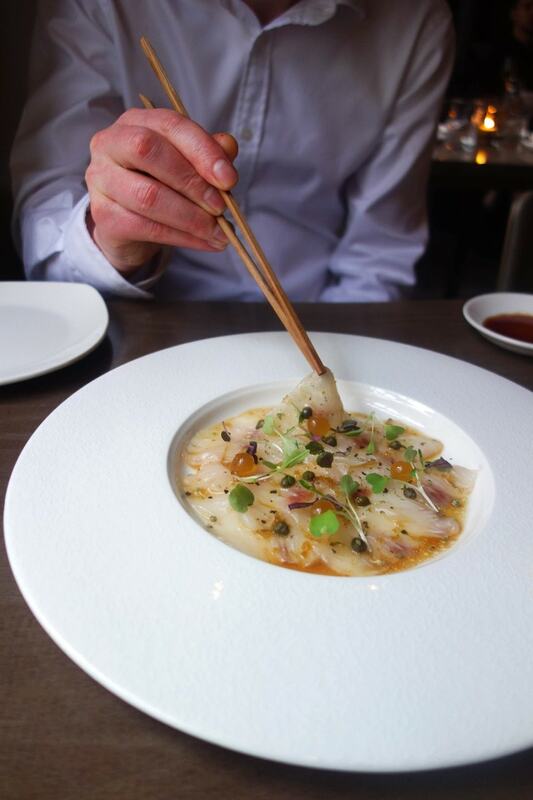 The seabass carpaccio; Simple, delicate but bursting with flavour. A real work of art topped with capers and sweet balsamic pearls from the same chef who created the exploding ball for the Japanese sake. 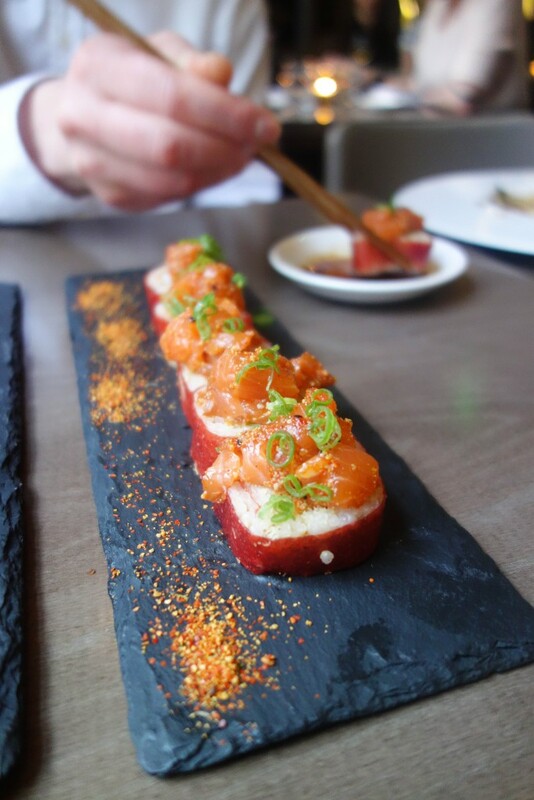 Last of the savoury is the Oliver Maki signature sushi. 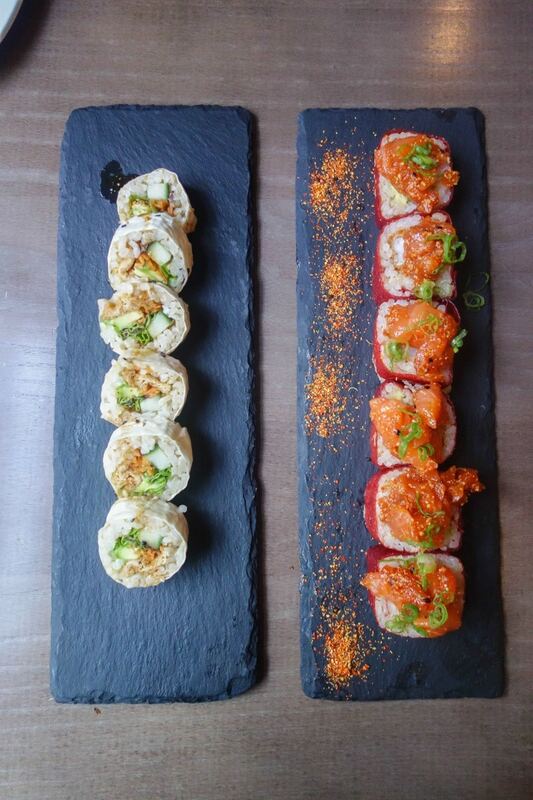 Made with a plum wrap, tempura prawns and topped with salmon, togarashi and spring onion. A fantastic combo of crunchy, silky, sweet and savoury. As well as a simple avocado maki with avocado, cucumber and carrot. … and finally to finish a matcha tiramisu in the shape of a house plant. Yes, A HOUSE PLANT. THE most interesting and creative dessert you may ever eat. 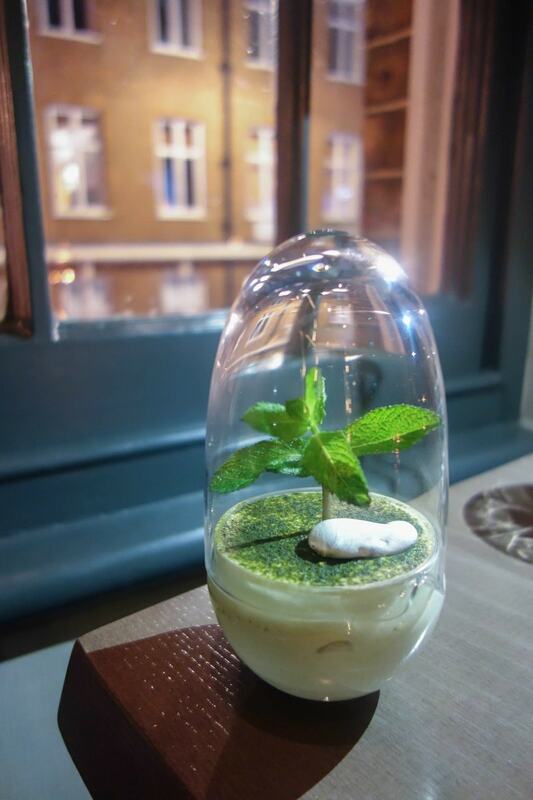 A matcha tiramisu ‘soil’, a chocolate ‘rock’ and mint leaf tree. Recommended that you take a leaf of the mint with every bite of the mouse. 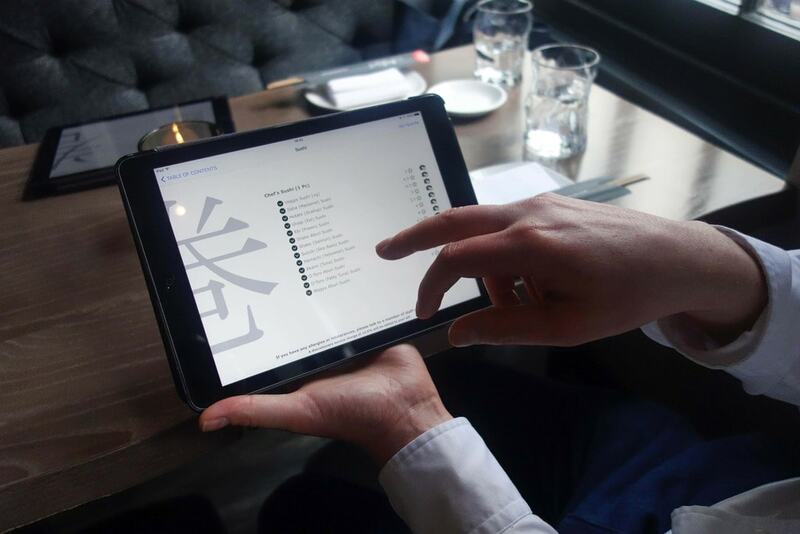 From the interactive IPads, exploding sake, theatrical DIY salads and arty, quirky presentation, Oliver Maki has all your senses covered to make you truly special evening. Most importantly they’re not just full of gimmicks and they deliver big time on interesting, unusual and outstanding flavour. Like we’ve said, this isn’t your typical, casual evening out. It’s pretty special. 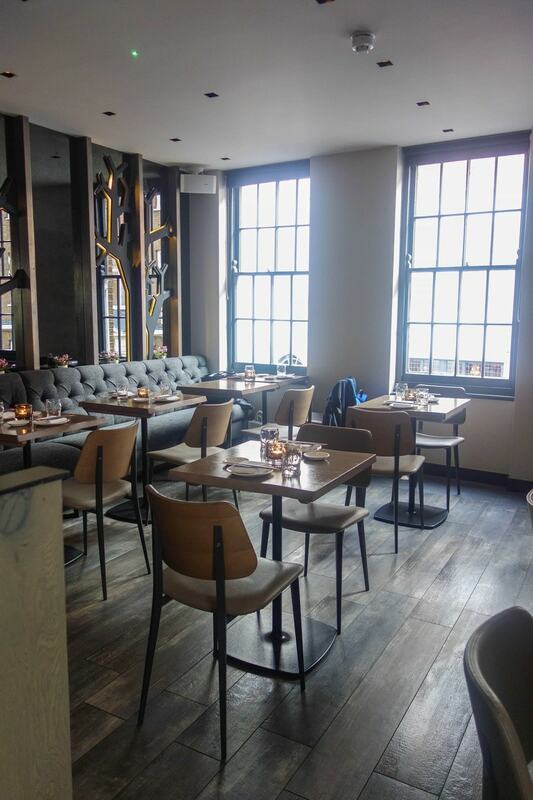 Dinner for 2 with everything you’ve seen can come to around £120 (or £60 each), but when you come to think of it hat’s pretty normal in London for somewhere of this standard. What can be said is it’s most certainly worth it.